European Spa Salts are solar evaporated and harvested from the pristine waters of the Mediterranean Sea. They are produced using the ancient method of solar evaporation. European Spa Salts are one of the purest salts in the world. All Natural. COMMENTS: This is a very fine grain salt. Exactly what I was looking for. Also love that it is from a region free of pollution. Win win! COMMENTS: It's already ground fine and makes a great addition to bath bombs! "Excellent grain size. Perfect for scrubs"
COMMENTS: Very good price and high quality. Will purchase again. "Great for salt scrubs and bath salts!" COMMENTS: This is a really great salt for making salt scrubs and bath salts. It's also nice for sea salt hair sprays. Very good quality and versatile. COMMENTS: I used it to make spa bars and it did really well :) Just the perfect size for my spa bars. 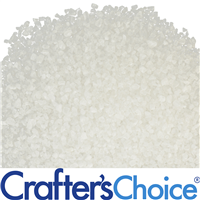 "Crafters Choice™ European Spa Salt - Fine Grain"
COMMENTS: Works well in my bath bombs. Provides a much smoothier look to them. COMMENTS: This sea salt is excellent for bath bombs. "Love the size of these grains!" COMMENTS: Perfect for a scrub but also love this in my salt bars! Not too big, not too small - lovely salt! COMMENTS: I buy this constantly, as it is perfect in bath salts, cold process salt bars and emulsified salt scrubs. price is great, too! COMMENTS: I Love Love this for making bath salts and salt scrubs! COMMENTS: super fine sea salt.. amazing for your skin.. COMMENTS: I love the fact this is fine grain. Perfect for my bath bombs and scrubs. Great value! Arrived 2 days before expected which was a real added bonus. Will definitely be buying more when this 55 pounds is gone! 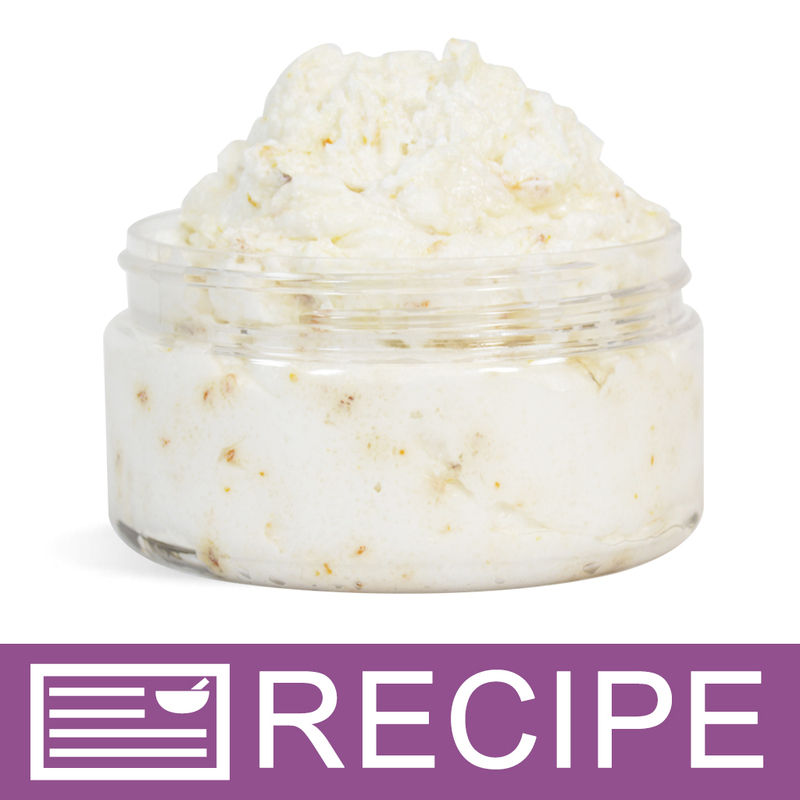 COMMENTS: Fine grain makes a perfect addition to bar soaps, and whipped scrubs. Mixes well, and in soap bars, light so doesn't sit on top, or bottom. COMMENTS: I use this in my CP salt bars and it is wonderful. Good price and good quality. No sweating. COMMENTS: I use this for my foaming bath salts!! My customers LOVE them!! COMMENTS: I love to work with mineral salt, mix different kinds in my scrub in oil or foaming base, amazing! COMMENTS: Its salt - not much to say besides wonderful quality as always. "I would recommend this product "
COMMENTS: Used in my Beachy Hair Spritz and in foot scrubs I've made for my grandkids! It's a great product that mixes well and is gentle enough to use in a face scrub. COMMENTS: I use these sea salts in my luxury salt bar, and they are wonderful! Sea salt adds a wonderful clean and refreshing feeling to your shower/bath. My salt bars are very popular and WSP has the best price I have found for them. Thanks WSP! COMMENTS: Perfect for salt soaps! COMMENTS: This salt works great in salt bars, but I was having trouble with it in BRINE bars. I'm not sure what I was doing wrong, but it just was not dissolving in my water, no matter how little the percentage. COMMENTS: This salt is great! Nice tiny grains perfect for bath bombs! COMMENTS: This salt was a very nice addition to my bath salts mixture. "European Spa Salt - Fine Grain"
COMMENTS: This salt does a great job of exfoliating without being too harsh! COMMENTS: This salt is amazing for my scrubs! COMMENTS: Love the fine grain salt. I have purchased other fine grain from other wholesalers and the grain is still course. COMMENTS: I use this product in bath teas. It is a good value and can be just sprinkled in your bath tub also. Nice, white, clean salt. COMMENTS: Love this spa salt. Fine grain just as stated in description! Will order more soon! COMMENTS: I love this salt, my spa bars came out hard and dry, no sweating or grainy. COMMENTS: Perfect for scrubs and salt bars.
" European Spa Salt - Fine Grain "
COMMENTS: This incorporates so easily into my emulsified salt scrubs. COMMENTS: I have had wonderful reviews for my bath bombs. Another great product from Wholesale supply!! COMMENTS: Good for bath salt mixtures. COMMENTS: I mix this with dead sea salts and it works great in my salt scrub. Will purchase again! COMMENTS: Perfect grain size for salt scrubs and adding to my bath bombs and fizzies. COMMENTS: I love this salt for body and face scrubs. Works really well and since the granules are really fine, it makes the scrubs a lot more gentle which is perfect for sensitive skin! COMMENTS: I used this salt to make a CP spa bar. It turned out great! Would definitely buy again! COMMENTS: I like the versatility of this salt. Excellent for varying products. COMMENTS: Used for CP salt bars and they came out great. COMMENTS: Love this salt in my bath cubes. 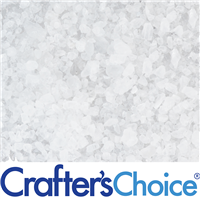 COMMENTS: Crafters Choice™ European Spa Salt - Fine Grain love this. Very soothing. "Great product, customers love it"
COMMENTS: I use this salt for making salt body body scrubs. Customers love it because it is exfoliating, but the crystals are small enough so they are not too abrasive on the body. Its even good for facial scrubs. The crystals are small yet not so small that they disintegrate in oil. I recommend the product 100% for scrubs. COMMENTS: This product is great for scrubs, used in cold process soap as an additive (dry) or melted as a brine. I use this for many things soap, beauty related and more! COMMENTS: I use this for a Shea Butter Foot Scrub and people love it!! It's just the right grain size to get off the dead skin. Will definitely be on my shopping list all the time. COMMENTS: I used on my scrubs and it works great! Good quality, clear and clean. COMMENTS: I love using this in a body scrub. It has a similar grain size to sugar which is great for those with more sensitive skin. I love that this product is solar evaporated which is great for the environment and my customers enjoy knowing that they are using salt from the Mediterranean Sea. This is a great price and can't be beat. COMMENTS: Exactly what I needed for my scrubs. Works perfect. 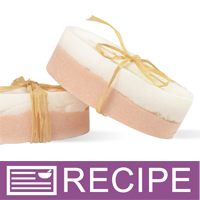 COMMENTS: I used this product in my cold process sea salt spa bars and customers love them! Perfect size as it is not too scrathy and holds scent beautifully, will purchase again! 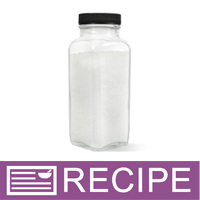 COMMENTS: I use this salt in my salt scrub recipes and my customers love them. They absorb fragrance and oils well. COMMENTS: Love this salt. Very fine grain that dissolves quickly and easily. COMMENTS: The price of the sea salt beats all competitors that I've found. I love to combine the medium grain with the fine grain to make my signature sea salt blends. It's a perfect balance for an mildly exfolianting body scrub. You never want a scrub to be too harsh. COMMENTS: I see the occasional dark speckle, but typically use this salt for scrubs so I add a poppy seeds for aesthetic variance. This salt works fabulously for my oil based scrub! "great in cp salt bars"
COMMENTS: I love this fine grain sea salt in my cold process salt bars. This salt is of the highest quality, and at an amazing price. COMMENTS: I like it on my soaps. It leaves my skin soft with a little bit of exfoliant! 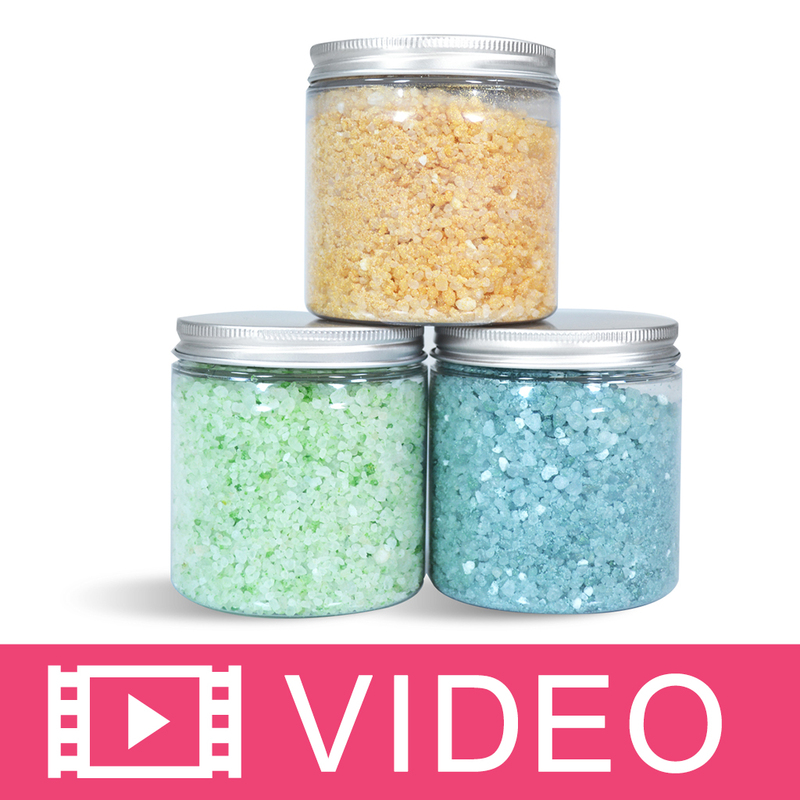 COMMENTS: I love this blended in bath salts and salt scrubs, and it is good in cold process salt bars. It holds scent very well. COMMENTS: These fine salts are nice in salt scrubs as well as bath salts and bath teas. COMMENTS: I love that this salt is not to harsh. Provides a great scrub. "Bath Salts for Tired Muscles"
COMMENTS: I originally purchased this to make products, but decided to buy for myself as I like to use for evening baths. They work great and I will buy again. COMMENTS: It's great for salt scrub. COMMENTS: Love the price and the product! COMMENTS: Good price for the amount you get. COMMENTS: I use the salt in my tea bags along with my bath teas and it is great it makes the water very soothing. I have no complaints about it my mom really likes it a lot. "Great Salt for CP Soap"
COMMENTS: I use this salt for my cp soap salt bars. I use 16 oz of salt for 3 pounds of oil and it is a great seller. COMMENTS: This is a wonderful product in a sugar/salt scrub! Nice and fine, the salt mixed with the sugar in the recipe is a perfect blend. 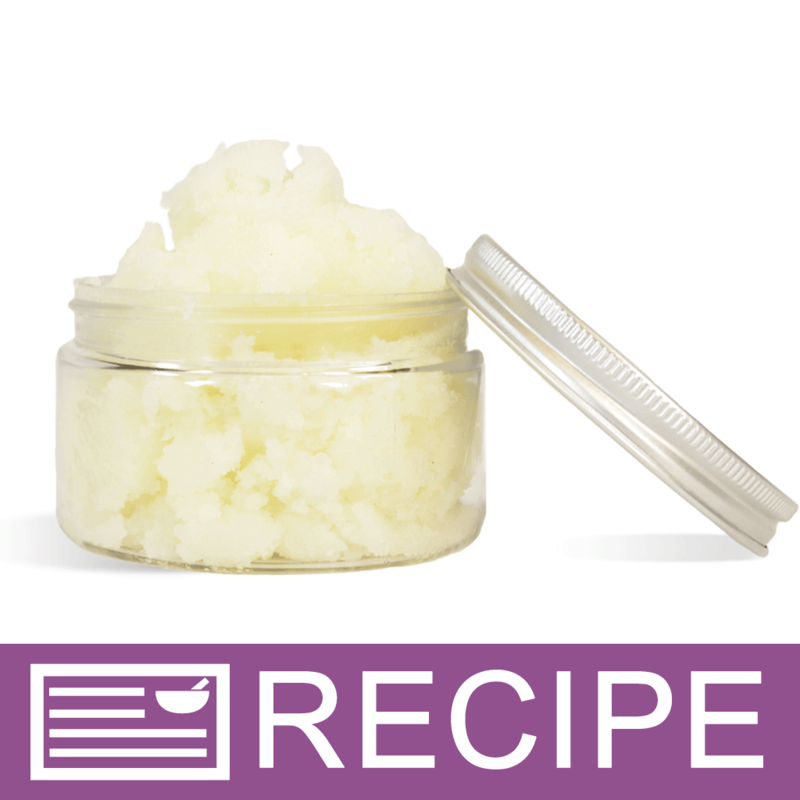 I have very much enjoyed using the scrub, and have found it to be a good seller in my shop. COMMENTS: Great value! I use the European Spa Salts in my bath fizzies, salt scrubs, hair spray and foot soaks. Helps soften and detox skin. WSP has the best value around. COMMENTS: I purchased this salt several times and I am not going to stop doing that! COMMENTS: I love this salt in my salt scrub blend. It has just enough abrasion to it. COMMENTS: Used to make Salt bars. Worked out great. Only down fall I need to make more my daughter took mine. COMMENTS: A clean fine salt with the perfect texture for my salt bars. "great for bath salts and scrubs"
COMMENTS: these salts are fine enough to use in salt scrubs and also work great as bath salts. melt evenly in hot water and take scent and color very well. COMMENTS: These is a nice size bag to use in my salt bars. I will order more when I need it! COMMENTS: I love this salt! The texture is perfect for scrubs. It is all I will ever use! COMMENTS: Perfect for our scrubs. I've even started using them in our other bath products. COMMENTS: Great quality and price. Nice size grain. COMMENTS: This salt is course enough to use in scrubs and the salt crystals are small enough that they won't irritate skin. I also mix this with bath teas to make a nice bath soak. COMMENTS: It is so nice to have different sizes offered, this one works in so many of my different products for my mild exfoliant scrubs to my sea salt sprays, to many other products. It is a wonderful product that I will be ordering again, the quality is very good. COMMENTS: I love this salt in my scented body scrubs. I mix it with the medium grain to add great texture. COMMENTS: It is so nice to have the different sizes. I have the medium and now the fine grain. I am using it in the scrubs and bath teas. I love it. It really is nice and works lovely. "I use this for my beachy hair spray!" 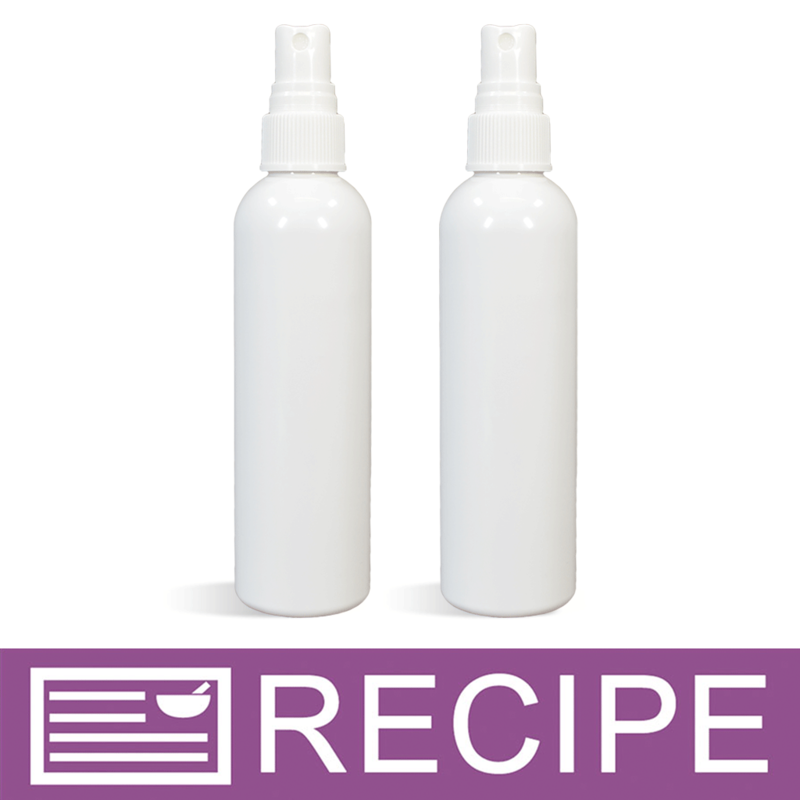 COMMENTS: Love to make the beachy hair spray and this works terrific...dilutes as it should, great texture. COMMENTS: I like to add these salts to my Fine Dead Sea Salt/Epsom Salt Scrubs. The combination of the three, plus the shea butter that is incorporated, leave you with baby soft skin. I am even able to use this combination on my face; although if you have super sensitive skin, I would recommend you gently try one little spot before doing your entire face. COMMENTS: This is a great choice for salt scrubs. It is a nice fine salt and good for exfoliation. COMMENTS: I like to mix the different sizes of salt grain together for my bath salts. And I think the "European Spa Salt" name gives it a little more "ooo, ahh" factor for my customers who can't seem to get enough of it. COMMENTS: I use this wonderful salt for my scrubs & I love it. I love how fine the grain is & how nicely it blends with my other salts. COMMENTS: When Bath & Body stopped selling bath salts my sales increased dramatically. These are perfect as is or to add some fragrance in. COMMENTS: The fine grain is perfect to work with for scrubs and bath teas. COMMENTS: This is just a great salt to have on hand for bath salts and scrubs. The fine grain makes it ideal for a good body scrub and I use it mainly for that purpose. Very easy to colour and scent. COMMENTS: I use this in my salt scrubs and have had many positive comments. The grain size is just perfect and holds up well to the oils I use. COMMENTS: I love how fine this salt is. It is wonderful in salt bars. Also great for salt scrubs. COMMENTS: This is great in Bath Teas...dissolves well! COMMENTS: I prefer the fine grain for my salt scrubs. It provides excellent exfoliation and a wonderful texture. COMMENTS: This is a staple in my product line. No off-color grains and hold scent beautifully. I like to mix with medium grain for my bath salts. "Great salt for scrubs. " "Good salt for bath products." COMMENTS: Works great in bath fizzies and bath salts. COMMENTS: Good quality, nice size for scrubs and unbeatable price. COMMENTS: Love how fine this salt is, and the way it makes your skin feel. Accepts fragrance and color quite well and works wonders! "The Best Salt Scrub Ever!" COMMENTS: This makes the best salt scrubs ever! I can't keep enough of this on hand. It is amazing for dry hands and feet. It is the perfect exfoliant for cracked heels. I keep a container of this beside the kitchen and bathroom sink to scrub dirty dry hands to make them smooth and clean again. Everybody who comes to my house uses it and then places an order for themselves. It also makes a great bath soak ingredient for tired sore muscles. It is a high quality product for a great price. COMMENTS: I use these salts in my salt scrubs with Jojoba oil and a fragrance and they are WONDERFUL! I love them. "What is the proof for the statement that it is from a region free of pollution? Do you have documenting for this claim? Thank you!!" Staff Answer The information was given to us from our vendor when we first started purchasing these salts. We have decided to take this out of our description since it cannot be documented. "Why is this not available in bulk?" Staff Answer This bulk size is currently from our supplier. We are hoping to have this size back again within a few months. "Says this is from Belgium, but the description says it's from the Mediterranean Sea. Which is it?" Staff Answer Our fine and medium salts are produced in South Eastern France near the Mediterranean Sea. We have updated this information on our website. Thank you for bringing this to our attention. "Is there an anti-caking ? Like sodium aluminosilicate?" Staff Answer This product contains salts only. So, on the 50lb bag it does not say "anti agglomerant"? "Hi, what are the size of the grains? Thanks a lot!" Staff Answer We do not have the exact grain size but these salts are about the size of granulated sugar. "Hello, I'm hoping to purchase sea salt to use in my cold process soaps. I've read that Dead Sea salt doesn't work in soap because of the high mineral content. Would this European salt work ok?" Staff Answer Hello Misty - Yes, this Fine Grain European Spa Salt will work in cold process soap. We have a cold process recipe in our Learning Library that uses this product called "Ginger Orange Salt Spa Bar CP Soap" which you can use as a guide. Additionally, many customers have indicated success in using this product in CP soap. See the product reviews for their comments. Staff Answer For the Ginger Orange CP Soap Recipe, Click Here. "If a receipe calls for 4 cups, how much would I need in oz?" Staff Answer Generally speaking there are 8 ounces in 1 cup so 4 cups would be equal to 32oz by volume. 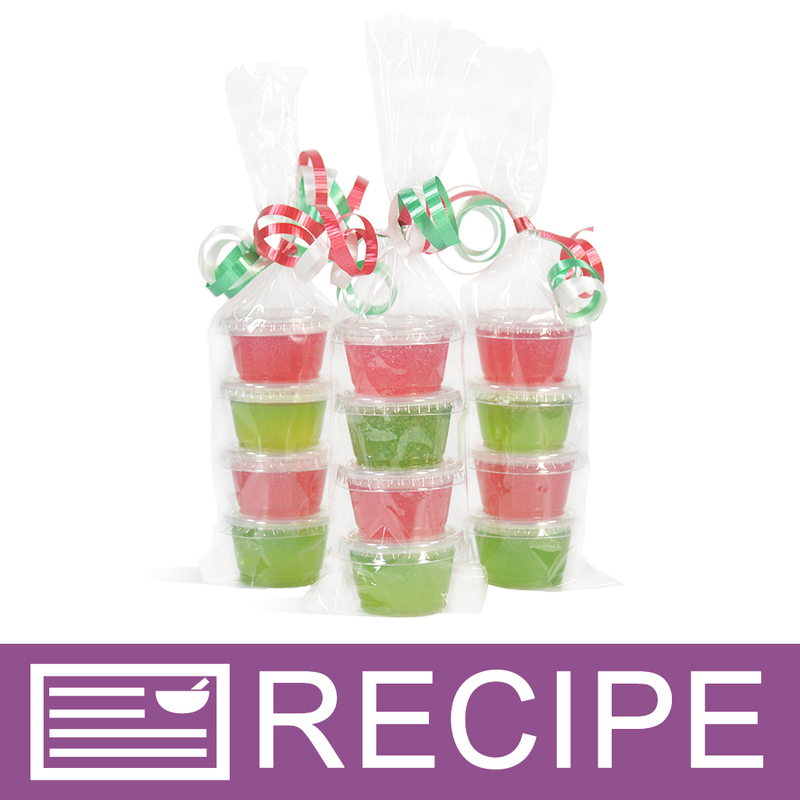 If you are trying to convert 4 cups by volume to ounces by weight you will need to first measure 1 cup of salts by volume and then weigh that amount to get an ounce measurement by weight. Then using that amount multiplied by 4 to get the total number of ounces in 4 cups of European Spa Salt - Fine Grain. Keep in mind that there are ounces by weight and ounces by volume. They are only equal when talking about water. I like to use weight for all recipes for consistency.